Local media first reported the incident as suspected food poisoning. But nine hours after the children fell ill, an official statement posted on the local government’s Weibo account, the Chinese version of Twitter, said the children suffered only discomfort from drinking cold milk—and that most of them had a psychological disorder. Since then, the local government has maintained the students suffered from psychogenesis, a kind of domino effect disorder where one student thinks they are sick because they see others getting sick. An Anding District Hospital official backed the government’s conclusion but was unable to explain why a psychological condition extended across five different schools. Affected families are questioning how hundreds of students in different schools could ‘think’ they were sick on the same morning. Doctors who treated the sick children were unavailable for comment. 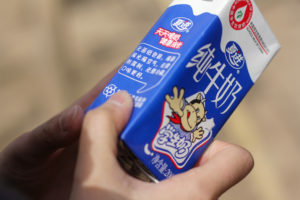 Some officials have attributed the students’ side effects on milk that was served cold, when it “should be served warm.” Local officials also blamed cold milk as the culprit for students’ stomach distress in at least two separate incidents in Gansu in March and April last year. Five of the students and parents interviewed from Anding District pointed to milk as the cause of their pain, but they suggested the problem was more than just a reaction to the milk’s cool temperature. One 11-year-old girl said the milk didn’t taste sour, but that students began vomiting after drinking it. Ningxia Xiajin Dairy Group Co, which supplies milk to schools in Anding and across China, could not be reached for comment. A number posted on milk cartons was a dead phone line. An employee at the production plant hung up on calls requesting a comment, and company officials did not respond to emails from the reporter. China has long struggled with regulating the quality of its milk products. In 2008, six infants died and nearly 300,000 others were sickened from drinking milk formula tainted with the industrial chemical melamine. In 2010, 200 students fell ill in Shaanxi province in two separate incidents after drinking milk contaminated with bacteria, according to the state-run Xinhua news agency. And in 2012, 70 students in Guizhou province suffered symptoms similar to those experienced by the children in Anding District. The incidents are just a glimpse into China’s food safety woes. The Chinese government rolled out its US$2.5 billion free lunch scheme to rural, poor schools in 2011, but with limited quality assurances. 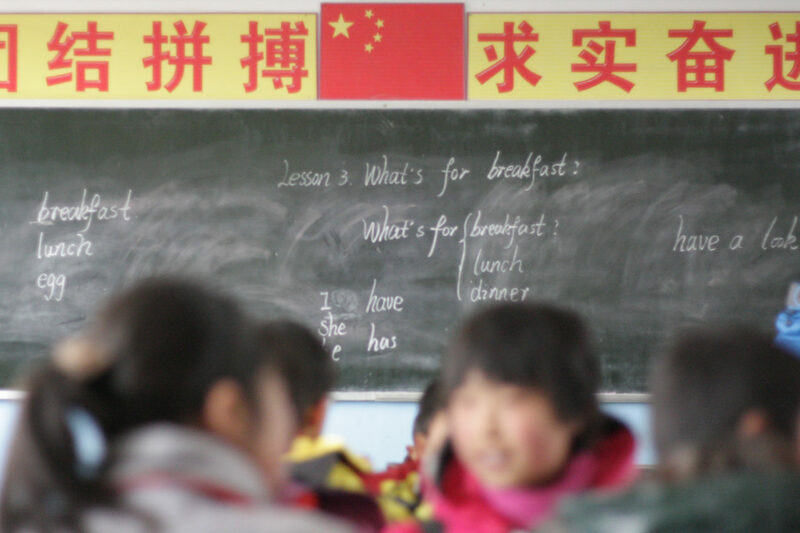 According to Cailling Gao, head of the Treasury Department of the Gansu Province Education Bureau, money from the program is sent from Beijing to provincial government education bureaus, and then to a district’s treasury or education bureau. From there, the tendering process is open to bidders ranging from major companies to local farmers. But after this point, the trail becomes murky. 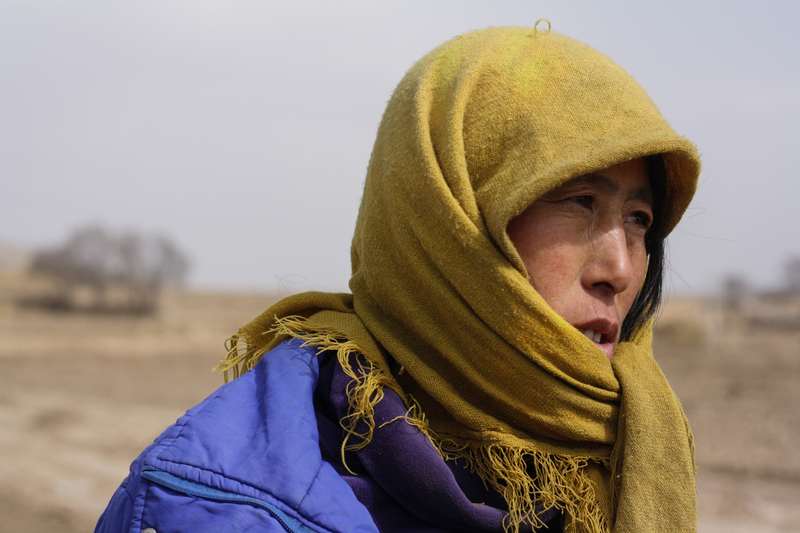 While Gao says it was the Gansu government’s job to provide regulations, she made clear it was not their responsibility to provide oversight to local governments within the province, like Dingxi. Ran Liao, program coordinator for Transparency International’s China program, says opaque tendering processes and lack of oversight are to blame. Anding District Education Bureau Chief Nan Jun Wu declined to comment on the tendering process and the food poisoning outbreak. Officials interviewed at three different schools affected by the April 2013 outbreak denied that food poisoning ever took place and said no one had ever been severely ill at the Wan Er Chuan, Ren Hua or Nei Guan Ying Town Center primary schools. Months after the suspected food poisoning, the principal of Nei Guan Ying, where the majority of students were affected, was demoted and replaced. The new principal says he was chosen because of new requirements for school administrators in Anding District. The school’s dining hall now serves cooked food, as opposed to pre-packaged sausages or bread. Getting to the root of the issue has been difficult for local reporters. On the morning of the outbreak, journalists flocked to cover what was assumed to be a mass food poisoning. However, officials made clear reporters were not to “dig deep” into the story. One Dingxi TV reporter, who requested anonymity, said she was ordered to file an initial report but not to pursue any follow ups. In Lanzhou, the capital of Gansu, a newspaper editor who also requested anonymity due to fear of reprisal, said the Gansu provincial media bureau contacted editors in the area to strongly discourage any further reporting. “Everyone knew it was food poisoning,” he says. Despite the food safety challenges, China says progress is being made. Food poisoning incidents fell by 16.8 percent last year to 5,559 cases nationwide, according to the National Health and Planning Commission. 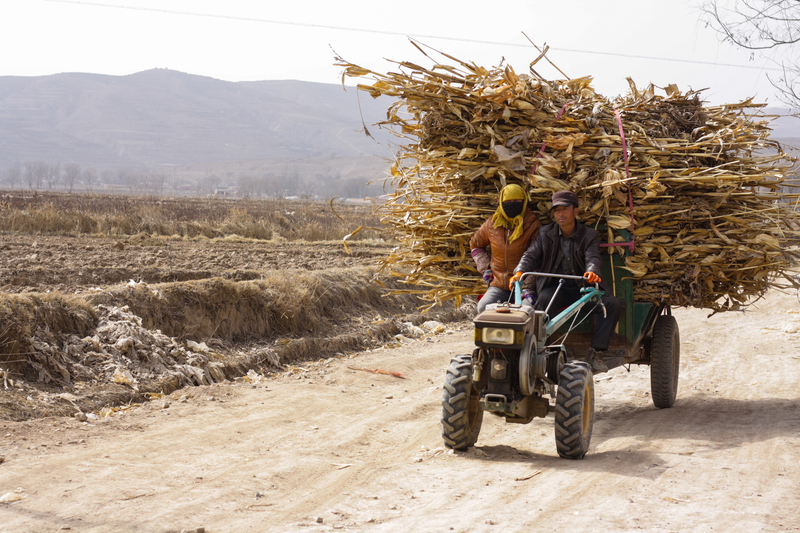 But in Anding District, where families make a living herding cattle and harvesting crops, many aren’t taking chances on a system they no longer trust. Additional Reporting by Stephanie Ma.